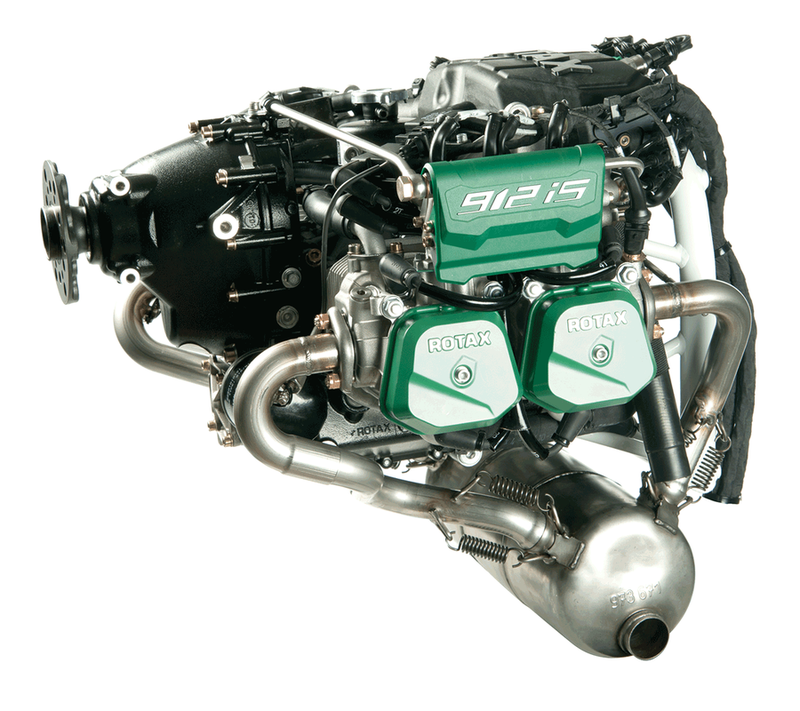 The new Rotax 912iS is a very high-tech powerplant, maybe the highest technology and best efficiency of any general aviation engine option available. The now well-proven 912 family already had the best power-to-weight ratio of anything a builder can buy, and now has much of the same computer control technology found in modern cars. It’s about time modern engine technology beccame available to general aviation, we will now have access to the greater efficiency available in our cars, AND it finally has enough alternator capacity for a proper airplane with it’s new 30 amp unit. Good job Rotax! The Van’s crew tells me that the new computer controlled fuel injection’s biggest gains are at higher altitudes. In fact the service ceiling of the RV-12 was raised significantly with the iS upgrade, and they tell me it now climbs better at all altitudes due changes in the torque characteristics, and cruises much faster when operating above 10,000′. To me this is a real benefit, I’m not afraid of long cross country trips at all and love to fly in the upper altitudes to take advantage of the increased efficiency and tailwinds. I’ve long had a portable oxygen system and plan to use it regularly with this plane. This is a most interesting engine to me, I’m really looking forward to learning much more about it. Frankly, it was one of the things that tipped me in favor of the RV-12iS. I’m attracted to all things that are efficient and this engine appears to be both high-tech and as a result quite efficient. I’ll report back any interesting things I learn and operational experience here once I get it flying. I’m planning a completely stock FWF installation other than perhaps the cowl fasteners around the firewall. I used Skybolt camlock-type fasteners on both of my previous plans with the standard hinge on the horizontal seam and found that to be an excellent solution and plan to use it again.